First offered in 1949, "town & country" employed a "paint on paint" process to achieve its rich texture. 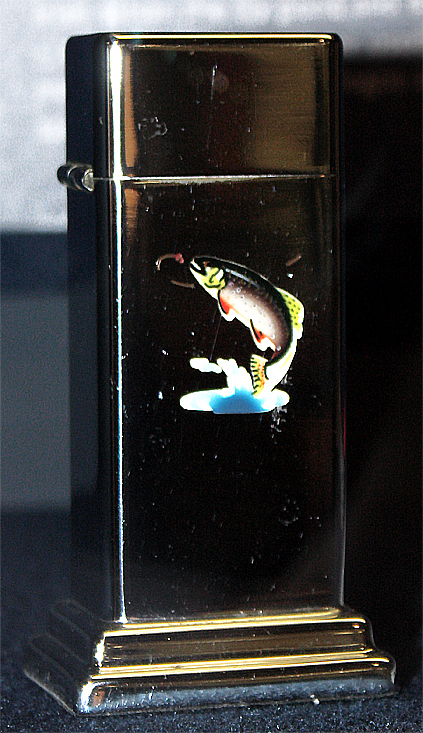 The colors were airbrushed on the lighter at a time after the surface was engraved at .004 inch deep. The backed enamel process then dried & hardened the finish. A very time consuming production process which reflected, in those days, an expensive price. the mallard, the horse, the geese, the trout, the sloop, the setter, the pheasant & the lily pond. 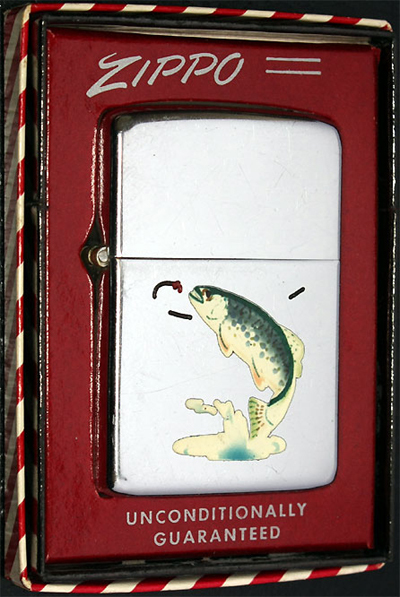 All these designs were also available on the 2nd model Barcroft table lighter for US $13.50 each & on sterling silver Zippo lighters for US $18.50 each. 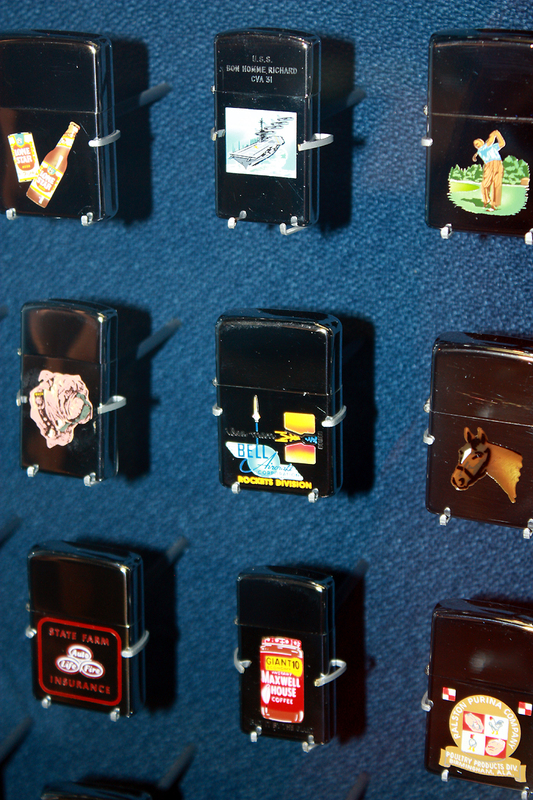 The Zippo artists used air brush kits like this one on display at the Zippo / Case Visitors Center. on each & every artwork for all these designs were airbrushed by different employed artists. for a company or a local business, therefore examples of smaller firms are hard to find. 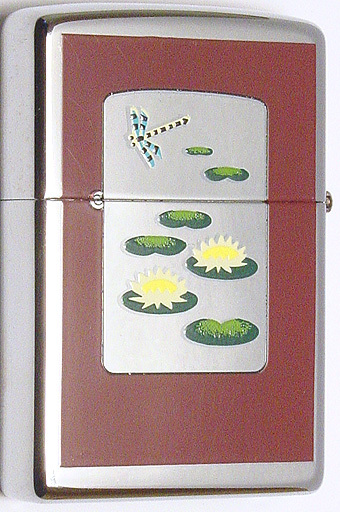 The Barcroft table lighter above is on display at the Zippo / Case Visitors Center too. from 50 to 100 pieces. 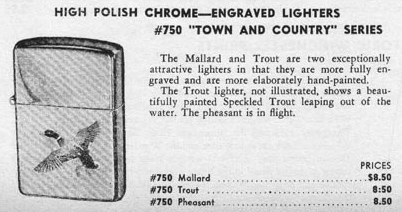 The remaining six models were soon accompanied by the sailfish design in 1953.
were still available: the mallard, the pheasant and the trout. 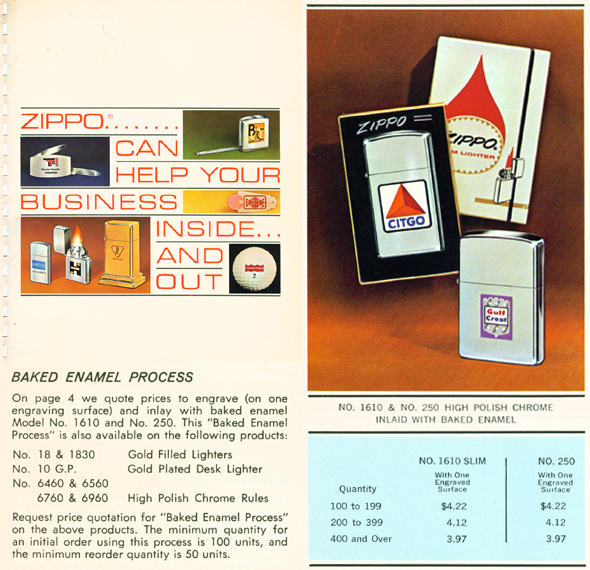 Zippo's catalogs as late as the Spring of 1972.
this is what all electro-baked ceramic enamel processed Zippo lighters have been called ever since. 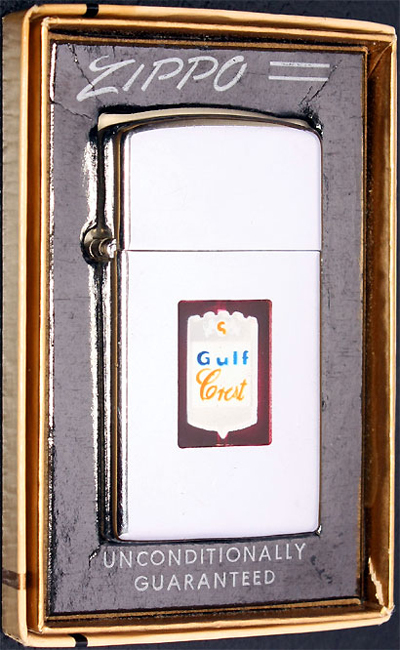 Gulf Oil was a major global oil company from the 1900's to the 1980's. The eighth-largest American manufacturing company in 1941 & the ninth-largest in 1979, Gulf Oil was one of the so-called Seven Sisters oil companies. Prior to its merger with Standard Oil of California, Gulf was one of the chief instruments of the legendary Mellon family fortune; both Gulf and Mellon Financial had their headquarters in Pittsburgh, Pa. When the company that was to be known as Gulf was born in 1901 with an oil discovery in Spindletop, Texas, the primary commercial fuel was coal. By 1903, the age of mechanization had arrived and it was now up to the petroleum industry to keep pace, for the age could not proceed without it. 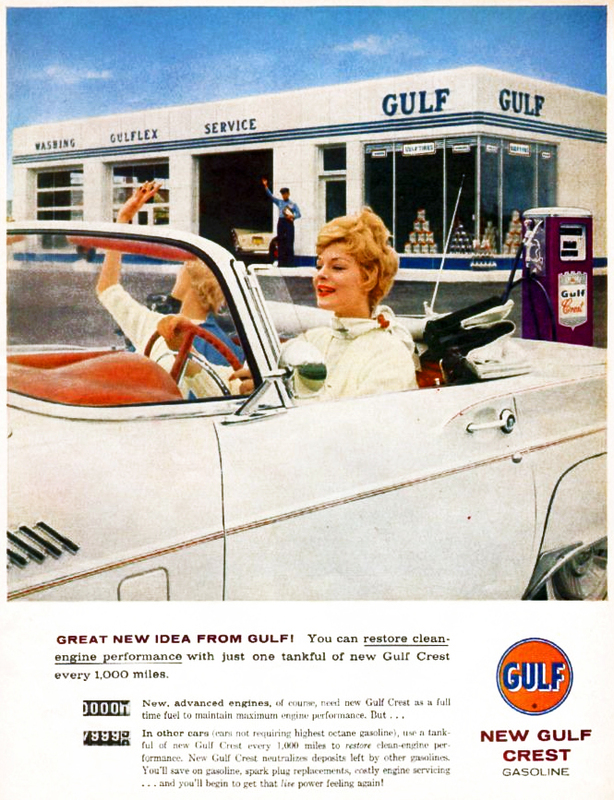 Gasoline development, into which Gulf invested millions of dollars, responded to advances in automotive technology to make the modern motorcar possible. Gulfpride - the World's Finest Motor Oil was manufactured and first marketed in 1928 and by the early Thirties, Gulf was a major U.S. corporation. 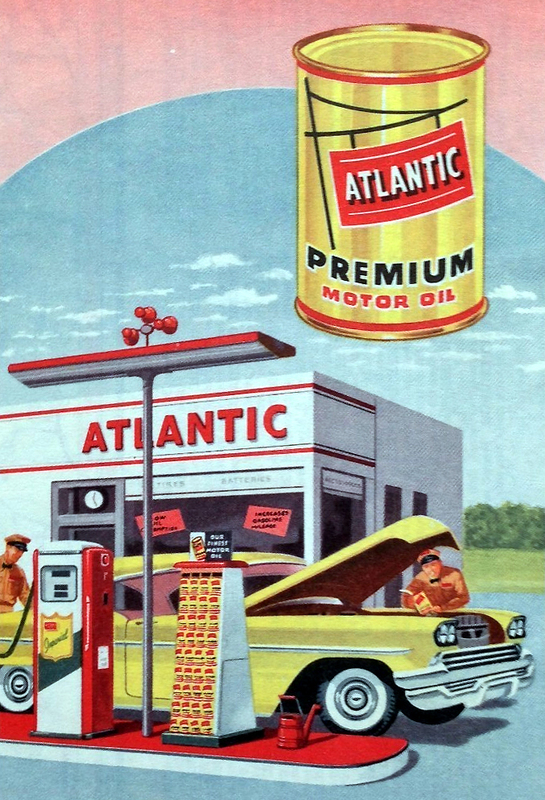 Atlantic Petroleum was an oil company in the Eastern United States of America headquartered in Philadelphia, and a direct descendant of theStandard Oil Trust. 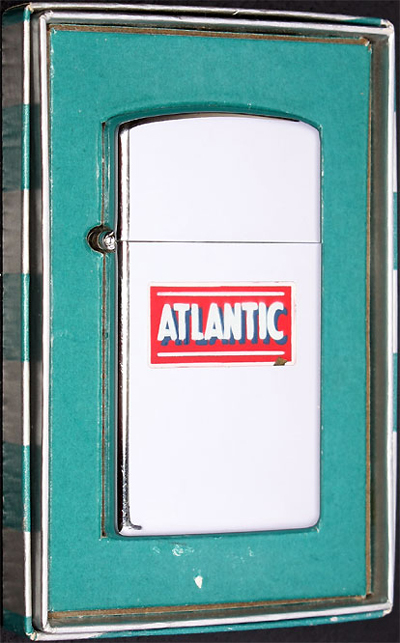 Atlantic was founded as the Atlantic Petroleum Storage Company in 1866 in the then-fledgling oil business. 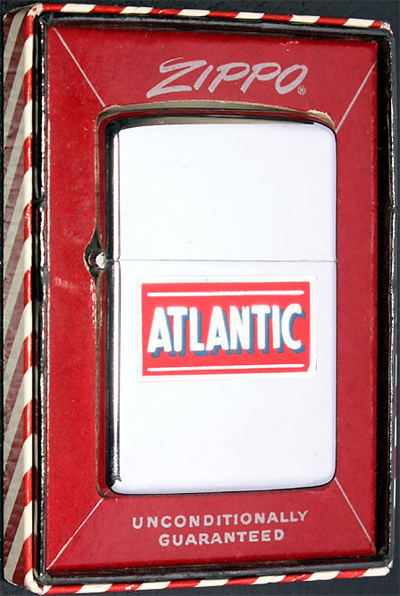 In 1874, the company, now known as Atlantic Refining, was purchased by John D. Rockefeller. The Longfellow House in Pascagoula is one of the most majestic antebellum homes ever built along the Mississippi Gulf Coast. Built back in 1850 for a New Orleans businessman, it was a family home until the 1940s when it became a small resort hotel. 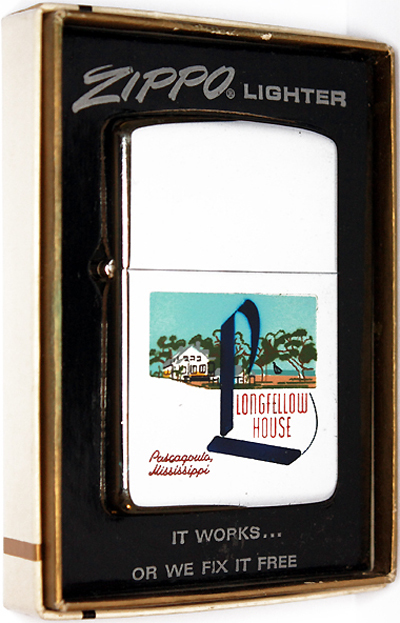 The name "Longfellow" was given to the home when it was rumored that poet Henry Wadsworth Longfellow had once visited the house. 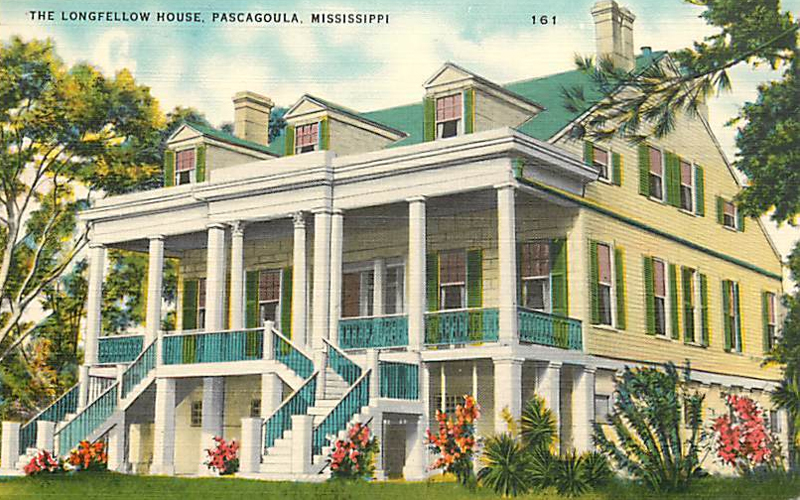 The rumor started because he mentioned Pascagoula in his poem, "The Building of the Ship." but historians disproved this rumor. Outboard Marine Corporation (OMC) was a maker of Evinrude and Johnson boat motors & many different brands of boats. Evinrude began in Milwaukee, Wisconsin in 1907. OMC was based in Waukegan, Illinois. They also owned several lines of boats such as Chris Craft, Lowe Boats, Princecraft, Four Winns, SeaSwirl, Stratos & Javelin. The J.W. 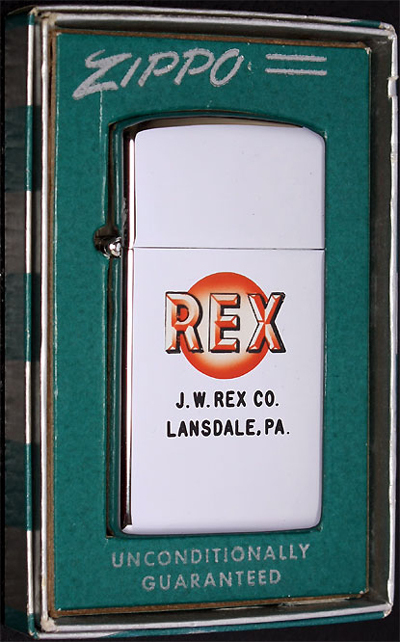 Rex Co. was started in 1938 by J. Walter Rex & Elmer Erb in a two-car garage in Lansdale, Pennsylvania. 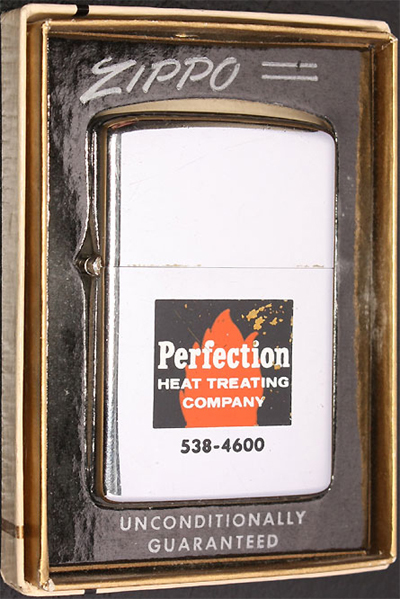 The business grew rapidly during the time of World War II with a high demand for the heat treating services of various metal parts for aircraft, guns & various hand tools. The Rex Heat Treat Co. is still in business today & is located at Valley Forge Road & 8th Street in Lansdale, Pennsylvania. 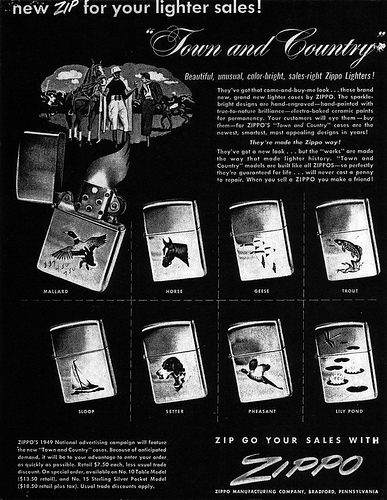 In the early 1960's the Zippo Manufacturing Company switched from the airbrush technique to the newly invented so called silk sreen art process. This process involves making a negative from the original artwork, cutting a fine screen from the negative & applying paint through the screen. A screen is cut for each applied color, formerly made of real silk prior to the invention of polyester mesh. 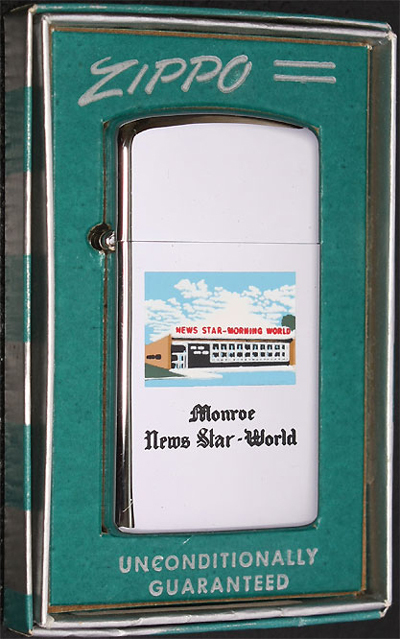 The News Star began in 1890 as the Monroe Evening News. In 1909, the Evening News merged with the Daily Star to form the Monroe News-Star. 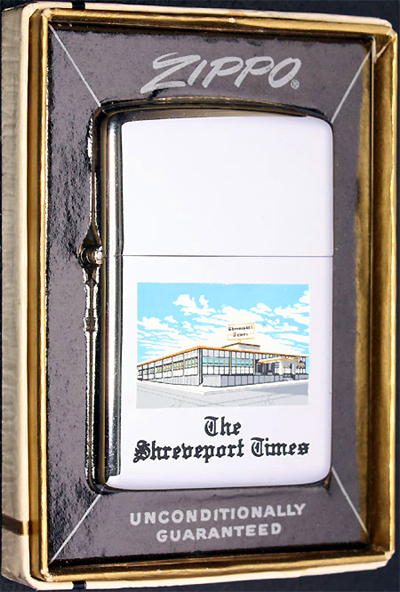 In 1908, Robert W. Ewing purchased the Shreveport Times. In 1929, Mr. Ewing bought the Monroe Morning World & in 1930 he acquired the News-Star. 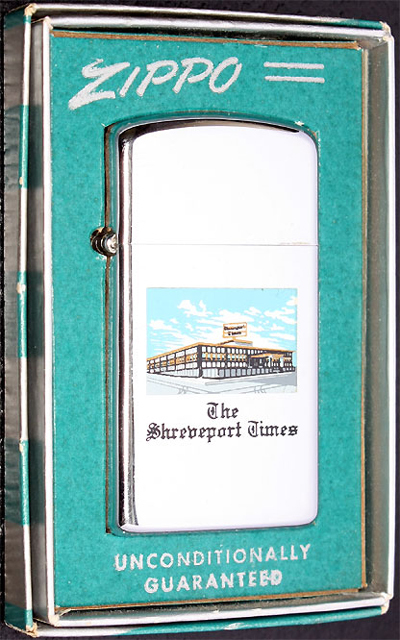 Ewing was accordingly among the most influential persons in the Louisiana journalism community. 7 Up was created by Charles Leiper Grigg who launched his St.Louis- based company,the Howdy Corporation in 1920. Grigg came up with the formula for a lemon-lime softdrink in 1929. The product, originally named "Bib-Label Lithiated Lemon-Lime Soda" was launched 2 weeks before the Wall Street Crash of 1929. It contained lithium citrate, a mood-stabilizing drug. It was one of a number of patent medicine products popular in the late-19th & early-20th centuries; they made claims similar to today's health foods. Specifically it was marketed as a hangover cure. 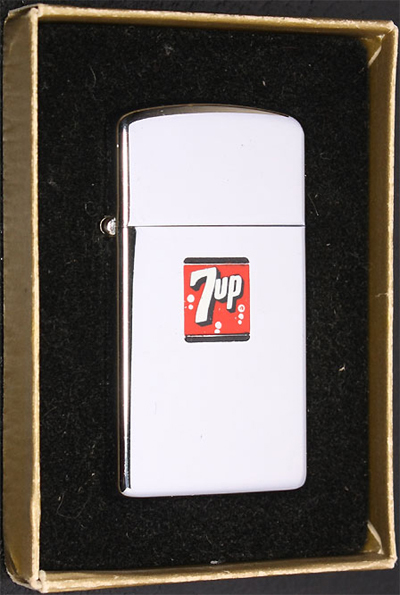 The product's name was soon changed to 7 Up. The company survived the Great Depression & became the market leader in the category by being one of the first to be nationally distributed as well as being marketed as more healthy than other soft drinks. Its success led Grigg to rename his company to "The Seven Up Company" in 1936. Lithium citrate was removed from the formula in 1950. 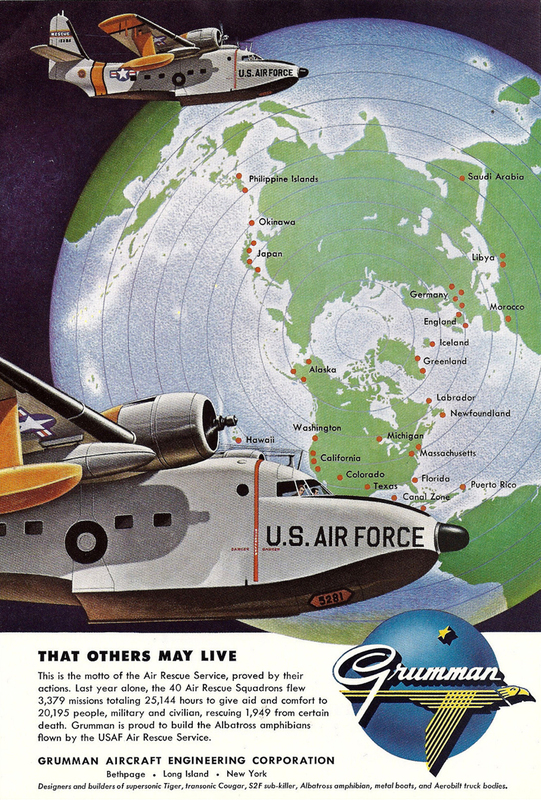 The Grumman Aircraft Engineering Co., later Grumman Aerospace Co., was a leading producer of military and civilian aircraft of the 20th century. 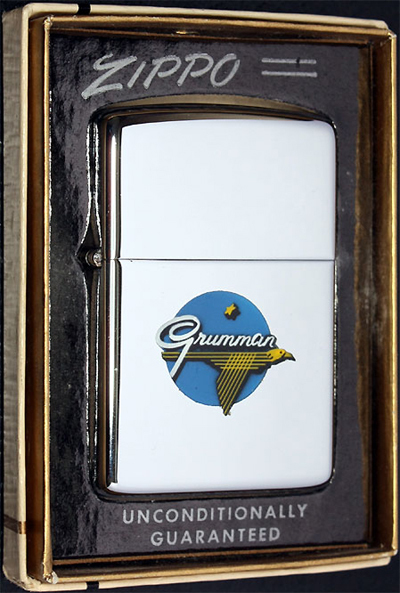 Founded in 1929 by Leroy Grumman, its independent existence ended in 1994 when it was acquired by Northrop Co. The Michigan Consolidated Gas Company Building (now One Woodward Avenue Building) is a 32-story, flat-roofed skyscraper with a steel frame, the exterior is white quartz precast in concrete. In the 60's and 70's the top floors were illuminated at night. It was built in 1960-62, and designed by Minoru Yamasaki and Smith, Hinchman & Grylls; the building was apparently a model for Yamasaki's later work of the World Trade Center in New York. The three-story glass panels were the tallest ever installed at the time. The Tenneco Company was founded in Houston in 1943 to deliver natural gas by pipeline to defense plants in Appalachia in World War II. The firm expanded into a broad range of business fields, including oil exploration & production, chemical manufacturing, food products & insurance. 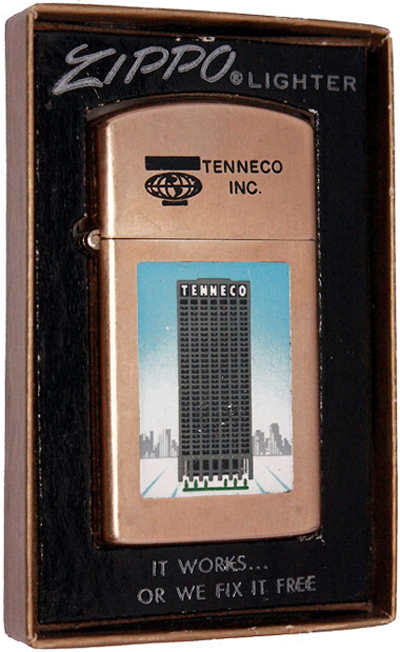 The Tenneco Building (now El Paso Energy Building) is a 502-foot tall skyscraper that was completed in 1963 for the Tennessee Gas Transmission Company. 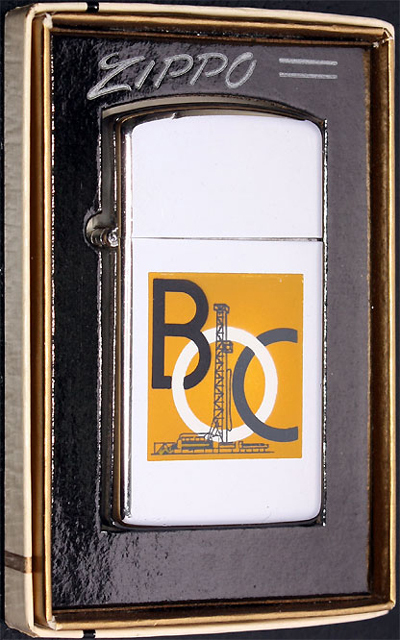 The BOC Group plc was the official name of the multinational industrial gas & British based company more commonly known as BOC, and now a part of the Linda Group, Germany. Brin's Oxygen Company, Ltd. was formed in 1886, by two French brothers, Arthur & Leon Brin. In the early years, the company manufactured oxygen using a high temperature barium oxide process, known as the Brin process. In 1906, the Brin brothers renamed the company to British Oxygen Company. During the World War I the business increased significantly as the mass production of needed war machinery - ships, tanks & trucks - involved either metal cutting or welding. During World War II the gases for munitions & medical needs were provided by BOC. Although this one looks like all the color is gone there has in fact never been any additional color ! The most possible is that for some quality reasons it was rejected at an early state of the production process. UOP LLC, formerly known as Universal Oil Products, is a multi-national company developing & delivering technology to the petroleum refining, gas processing, petrochemical production & major manufacturing industries. The company’s roots date back to 1914, when the revolutionary Dubbs thermal cracking process created the technological foundation for today’s modern refining industry. In the ensuing decades, UOP engineers generated thousands of patents, leading to important advances in process technology, profitability consultation & equipment design. 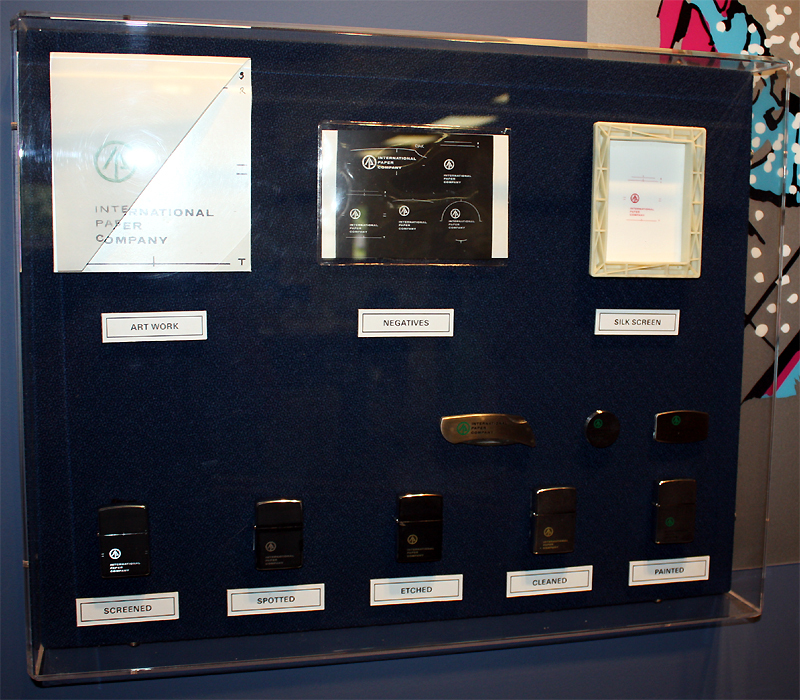 The company was founded by Gail Borden, Jr. in 1857 in Connecticut as "Gail Borden, Jr., and Company." Its primary product was condensed milk. The company changed its name to the Borden Condensed Milk Company in 1899 & became the Borden Company in 1919. It expanded rapidly, buying numerous dairies, ice cream manufacturers, cheese producers & mincemeat processors. Elsie started out as one of four cows (Mrs. Blossom, Bessie and Clara were her sidekicks) that appeared in a 1936 cartoon series featured in medical journals, just four friendly bovines chatting together in a pasture. The ads were a big hit and doctors ordered reprints for their offices.One day a radio commercial writer penned a letter supposedly written by Elsie and directed it to commentator Rush Hughes, who read it on the air. The gimmick proved popular and additional letters were read in subsequent broadcasts. 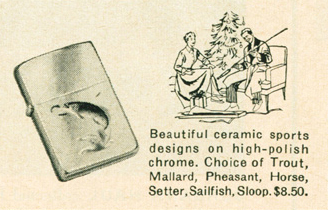 By 1939, Elsie was being featured in her own magazine ads and her campaign was voted the best of the year by the Jury of the 1939 Annual Advertising Awards. With the World's Fair approaching, Borden decided to feature a live Elsie in its exhibit, so company executives looked at 150 cows before settling on a 7-year-old named "You'll Do Lobelia." The Brookfield, Mass., native was not only a beauty, she had a flair for drama. By the end of that year, more than 7 million people had caught one of Elsie's personal appearances. After her smashing success at the 1939 World's Fair, Elsie went on to book even tonier events. She headlined a Bovine Ball at the Seventh Regiment Armory, hosted a private dinner at the Roosevelt Hotel for members of the press, and even appeared in a four-poster bed at the exhibit at the World's Fair in 1940. Her next stop was Hollywood, where she went on to star as Buttercup in the film "Little Men." After a brief stretch out to pasture in the late 1960s, Elsie was resurrected as the Borden symbol. 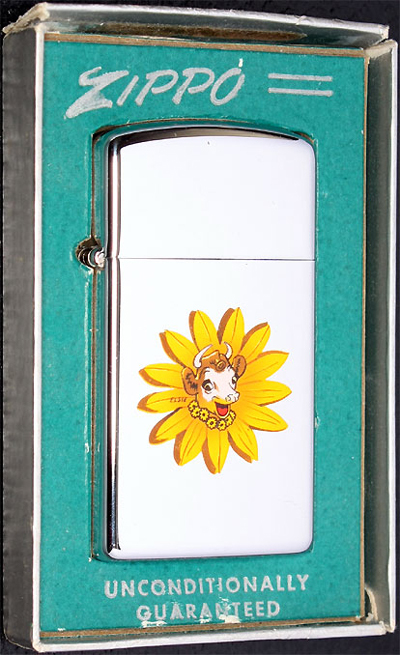 Today the picture of the dew-eyed cow with the sweet face and the daisy necklace continues to "moo-ve" consumers across America. 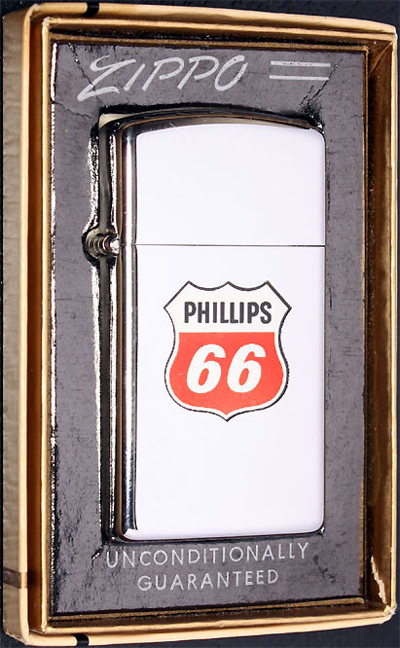 Phillips Petroleum Company was an American oil company incorporated in 1917 that expanded into petroleum refining, marketing & transportation, natural gas gathering & the chemicals sectors. The Phillips 66 shield logo, created for its link to the highway of the same number was introduced in 1930 in a black and orange color scheme that would last nearly 30 years. In 1959, Phillips introduced a revised version of the shield in the colors red, white & black that is still in use today. 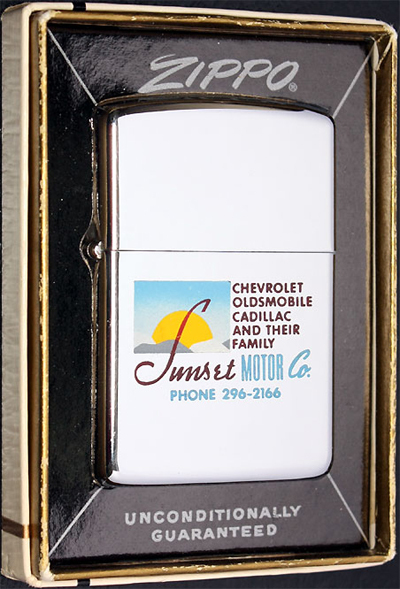 The Sunset Motor Company owner Norval Martin was born Janunary 22, 1900 into one of Oregon's pioneer families in The Dalles, Oregon where he was raised and educated. Martin attended the National Automotive School in Los Angeles, CA. He founded Sunset Motor Company in The Dalles, an enterprise that became very successful & the car business continued years beyond his involvement. From 1939 to 1943, Martin also served as the Mayor of The Dalles. Sunset Motor Company was bought out a few years back and the name was then changed to Bob Stone Freeway Auto Center. 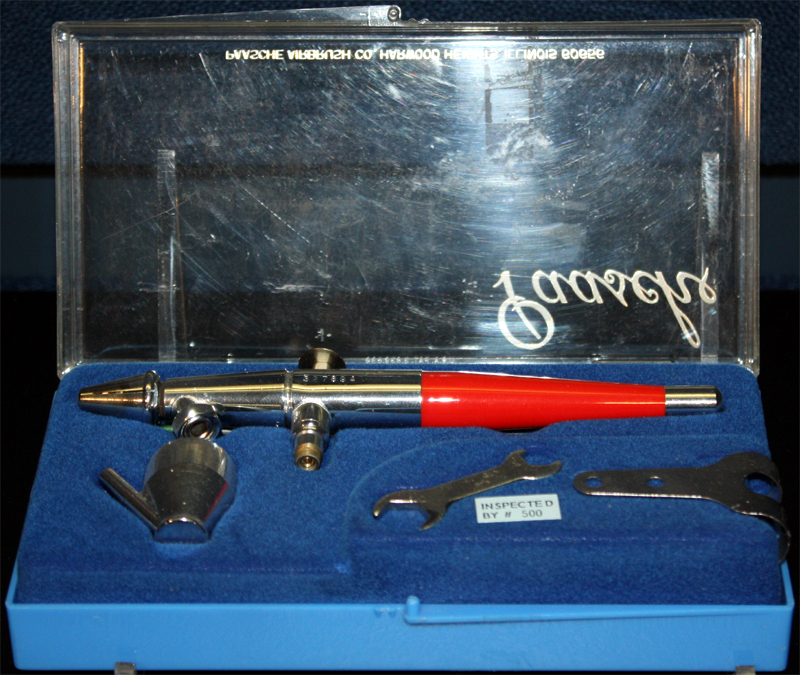 This example shows town & country airbrush process AND etch & paint coloring process, a rare combination. 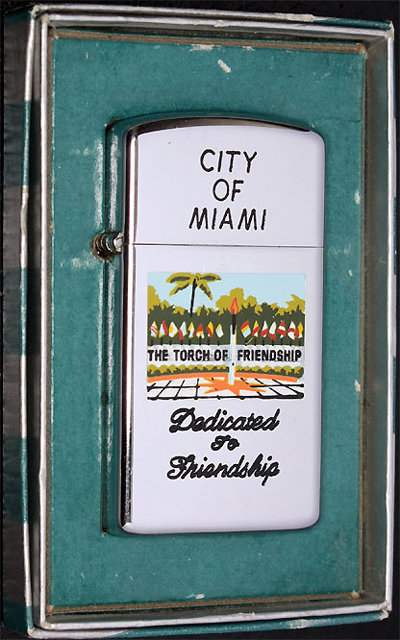 The Torch of Friendship is located at the Bayfront Park, on the east side of Biscayne Blvd. 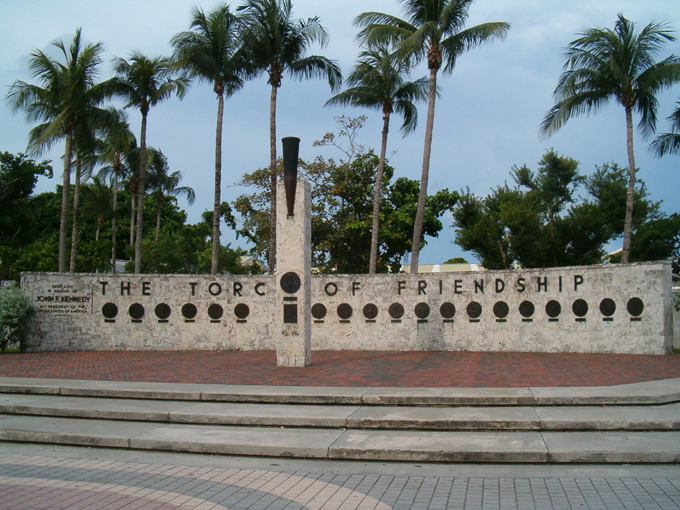 in downtown Miami, symbolizing Miami's relationships with Central & South America. Probably one of the most famous town & country design is the 1969 moon landing or moon lander. 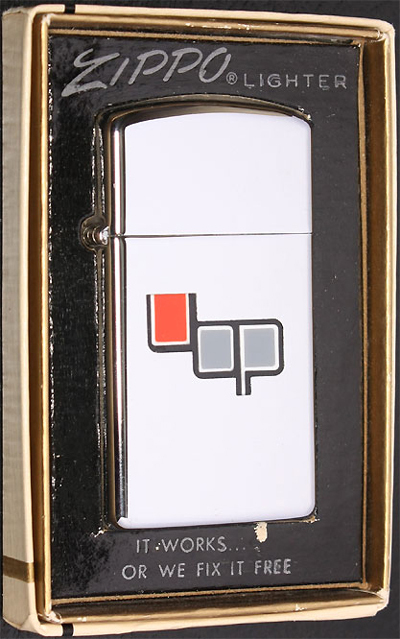 The design was created by Paul Hajdu, an artist & inventor of Zippo Manufacturing Company, as mentioned in the US patent Pat. 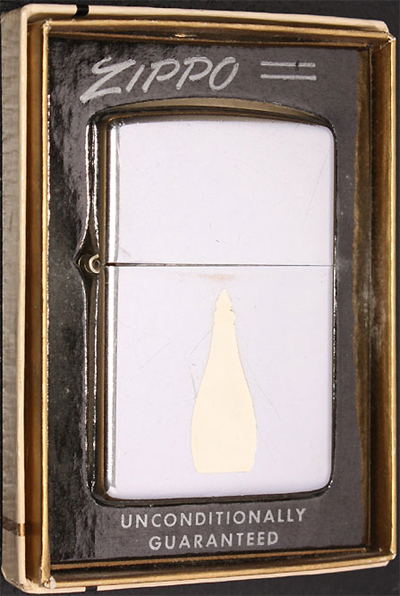 4,037,940 for the Zippo magnifier filed September 15, 1975. 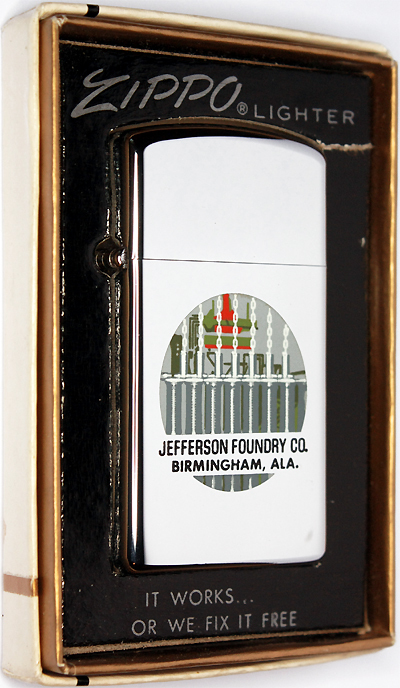 Offered on both, regular & slim Zippo lighters, it can also be found on tape measures. 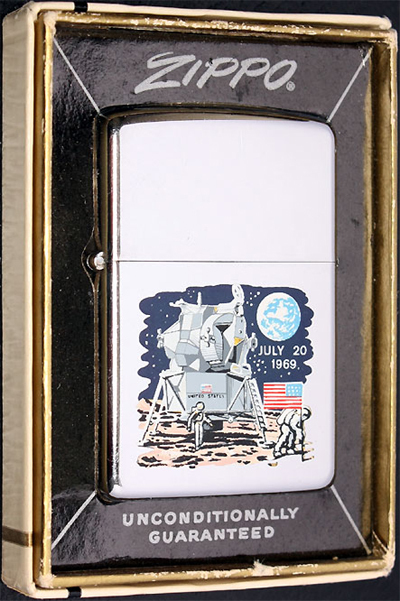 Some say "Apollo 11" instead of "July 20, 1969" & very few have Armstrong's famous quote "That's One Small Step for a Man and One Giant Leap for Mankind 10:56 PM EDT" engraved & black color filled on the lid. 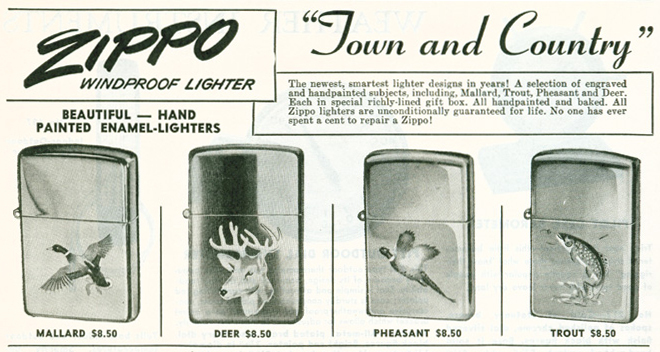 As the Zippo Mfg. 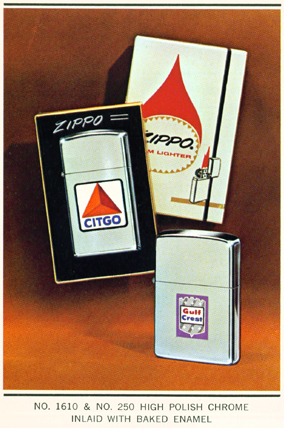 Co. used what they had on stock there are some of these around done on Zippo lighters from 1968. 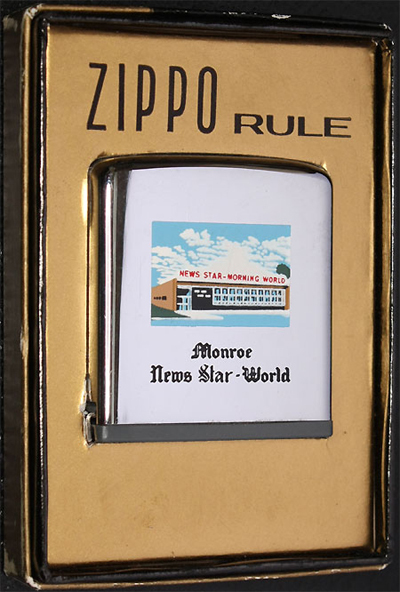 The double sided moonlander below is a salesman giveaway from John Ruppert & John Sudler, Zippo salesmen & factory representatives from Arlington, Virginia in the 70's & 80's. 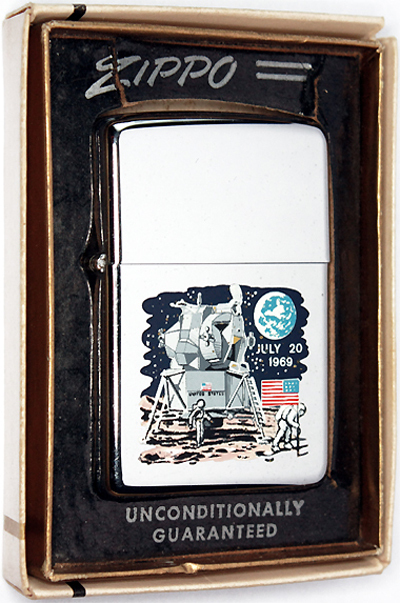 "It has been generally accepted that the 1969 Moon Landing Commemorative lighters were the last to employ the T&C process. 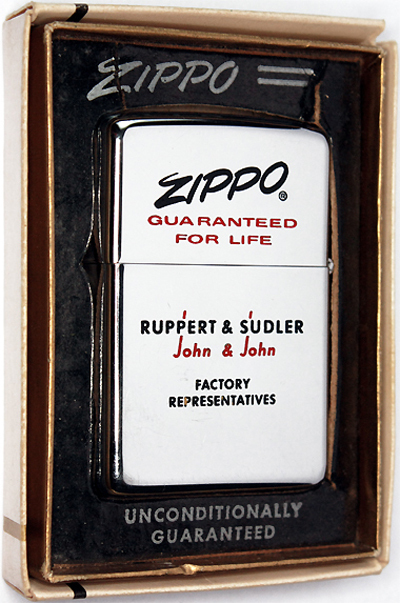 However, it was listed in Zippo's catalogs as an imprinting option as late as the Spring of 1972." 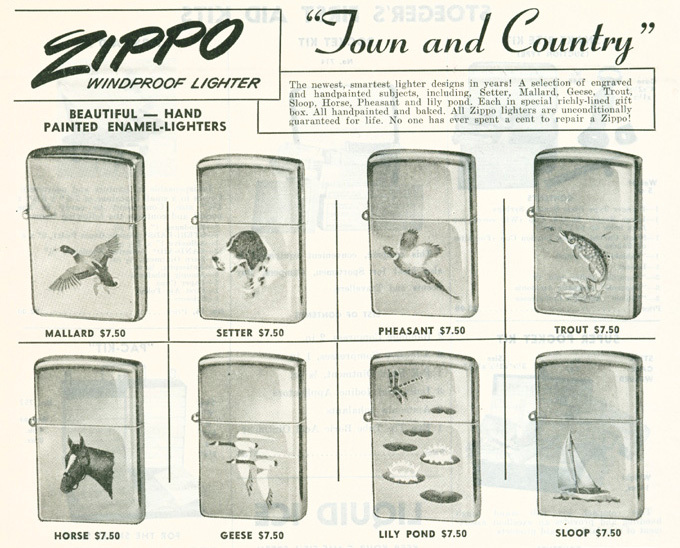 That explains the existence of the T&C Zippos to be seen below, proving that orders were still fullfilled by Zippo Mfg. Co. until then. Although using the silk screen process this imprint method is still called town & country worldwide. Founded back in 1889, The National Association of Letter Carriers is the labor union of city letter carriers employed by the United States Postal Service. 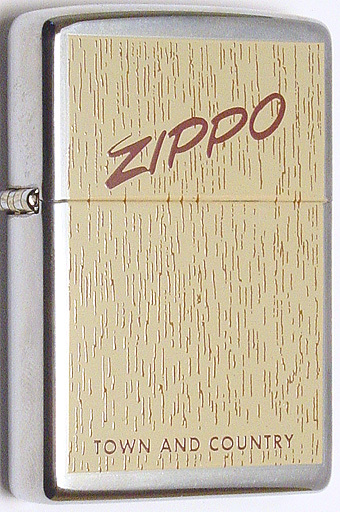 The ivory ultralite pocket knife #7656 was added to the Zippo product line in 1980. 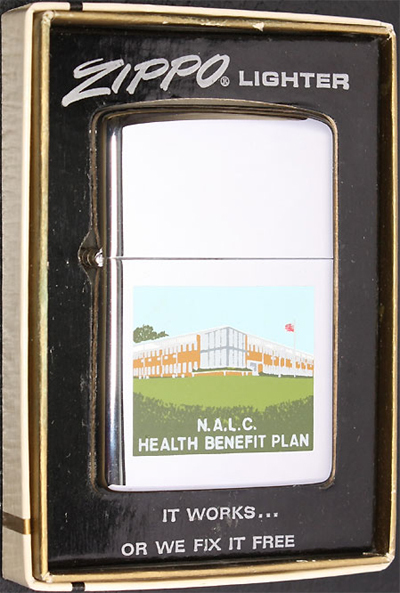 An imprinting option by transfer process was offered by the Zippo Manufacturing Co. but few were ordered. 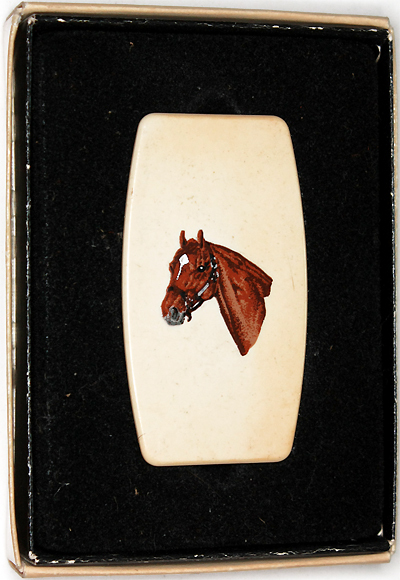 This one shows a reprint of the horse's head from the classic town & country series offered 1949 - 1953. 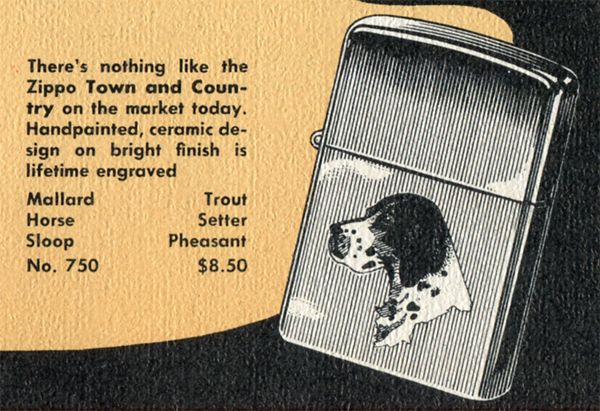 Being just one of a wide range of vintage box design advertisers this double sided version shows the town & country box top on the front & the lily pond illustration on the back & is a limited run of 50 pieces only.